Want an “in” to our Best Prices? You’ve Come to the Right Place! Granitech’s Specials Group provides our most competitive pricing for our customers. If you are looking for the beauty of granite at an affordable price, this is the group for you. 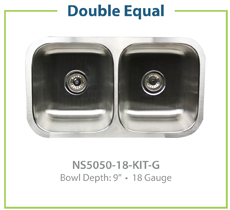 Granitech’s low price of $39.95 per square foot includes material, fabrication, basic edging and installation*. Flipping a home? Renovating a rental property? Granitech only purchases the highest quality granite for all of your stone projects. *Cutouts are extra. SELECT COLORS APPLY. SUBJECT TO CHANGE BASED ON AVAILABILITY. 20 sqft minimum requirement to order slabs. Let us guide you through the decision process by making it easy and affordable. 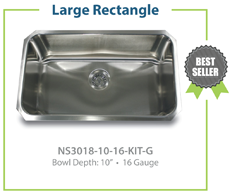 We offer Kitchen and Vanity sinks. Stainless Steel, Porcelain, Composite Stone. 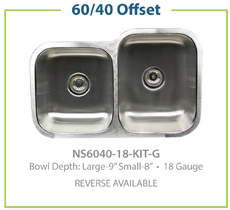 Single Bowl, Double Bowl and many other varieties of sinks are available for purchase. Contact us for details. The Stonetech Bulletproof sealer offers your natural stone project an invisible layer of powerful protection. Repels common household stains, Maximum protection against the toughest oil and water based stains with advanced penetrating microbond protection. Also makes stone easier to clean. To learn more, call us (860) 620-1733 or email us today.